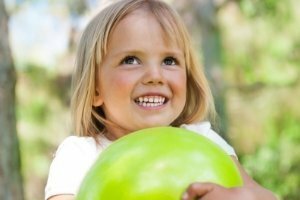 To some people, the thoughts of homeschooling multiple ages sounds like it would look like a three-ring circus, but there are ways to make it virtually painless. 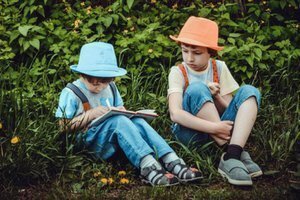 The best homeschool curriculum for multiple ages is going to be a curriculum that encompasses several levels of learning. A multi-level curriculum can be used for homeschooling grades. The work varies according to the different age groups the text spans. Elementary level projects or assignments will be easier to complete than middle-grade assignments, and middle-grade assignments will be less work than high school level projects or assignments. This doesn’t mean the younger child won’t learn as much as the older student. It means the child or children will learn on their level and do adequate work for their age. To break up the monotony, we, sometimes, throw in a unit study. Unit studies work very similarly to a multi-level curriculum. They may have different levels of work for different aged students. In some unit studies, students learn the same information and the younger children complete the same assignments as the older children with help from a parent. If you think you might be interested in unit studies, the best way to know for sure would be to try Free Unit Studies first. Lapbooks have become another one of our “go-to’s” when we start getting bored with homeschool. When completed, lapbooks, are regular file folders full of bits of information. Most go along with a textbook or a packet of information about a certain topic. The child finds the correct details needed for a particular cutout and cuts out the small paper and folds it per the directions. Then, the paper is glued in the file folder. 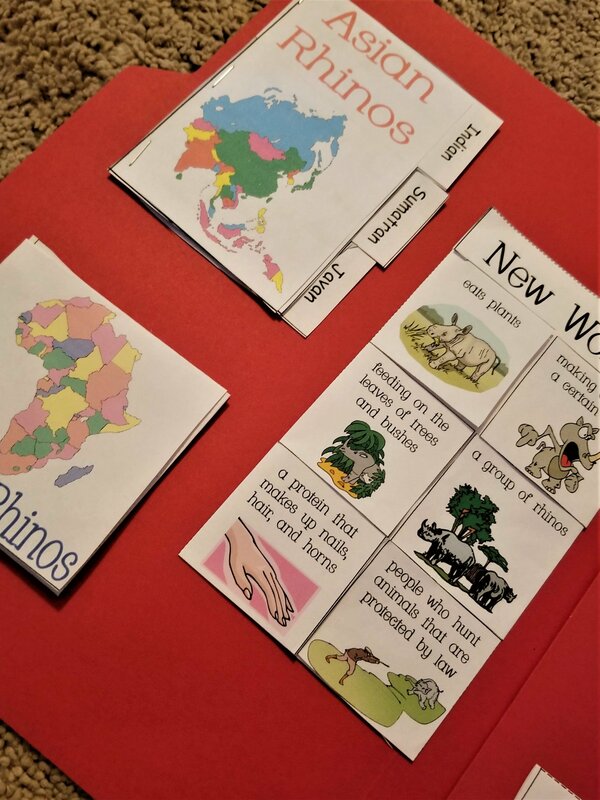 These learning folders are so much fun when homeschooling multiple ages. The kids really like cutting out the different shapes and making different folds in the papers. Trying to figure out where to glue everything down is kind of like working a puzzle. 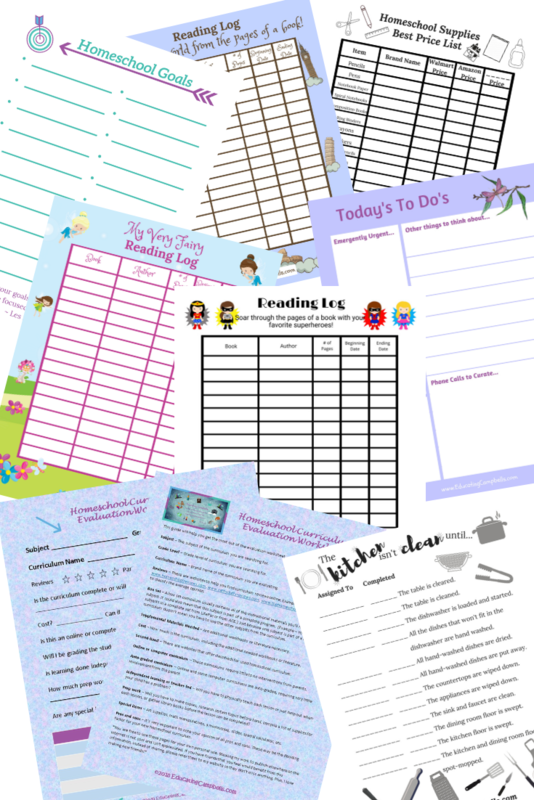 Take a look at this large list of Free Lapbooks from Homeschool Share. It’s a great place to start if you’d like to try them out. A great curriculum to help free up your time when schooling multiple children is a computer-based curriculum. Lessons, exercises, quizzes, and tests are all done on the computer with either an internet program or a curriculum available on CD-ROM. Since the program itself either does all the grading or most of it, you are free to work with other children doing other subjects that require you to be more hands-on. At one time or another, I’ve used all these methods with my kids. Most of these have worked out really well for us. The one computer-based curriculum that we used didn’t work out for the child that used it. She decided that she didn’t want to be at the computer for several hours a day. We ended up changing curriculums in the middle of our school year. Not an ideal situation, but we made it work. I hope this has been helpful for you. 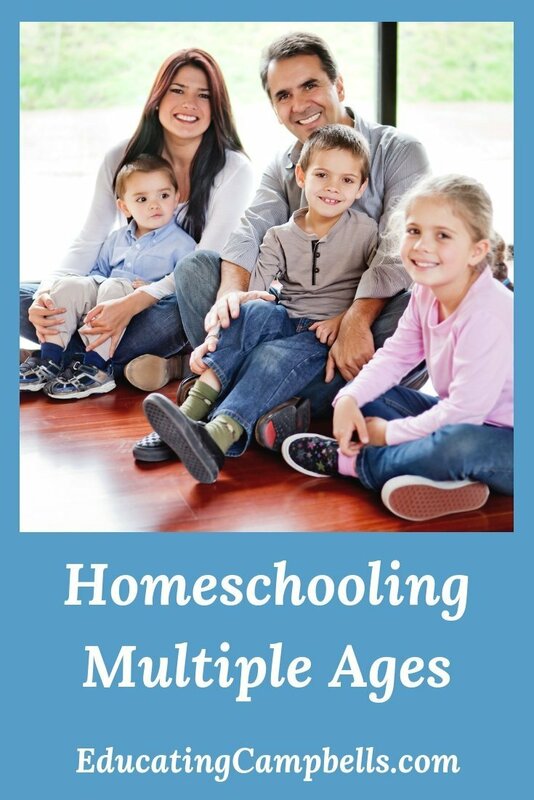 If you have another tip for homeschooling multiple grade levels, I’d appreciate it if you shared it in the comments. I’m always looking for new ways to homeschool my brood. 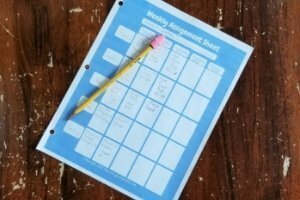 If you’d like to see how I homeschool multiple ages, you can read Our 2018-2019 Homeschool Schedule – Blocks of Time.